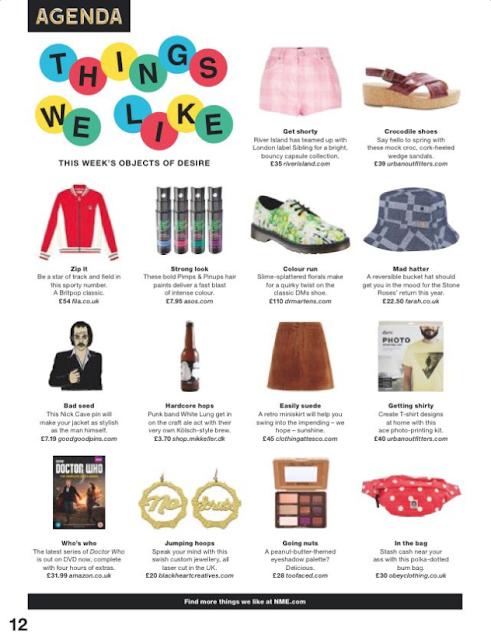 Last week (or is it two now time has gone so quickly recently!) 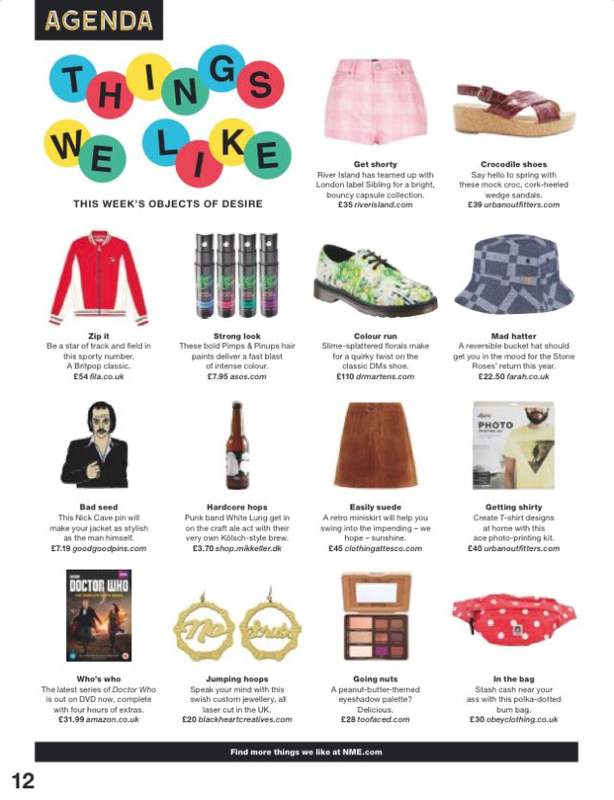 our bamboo style no scrubs earrings were featured in the 'things we like section of the NME. Now I won't lie to you but this was a really nice achievement for everyone involved at Black Heart Creatives not just me to just show that our hard work has all paid off! 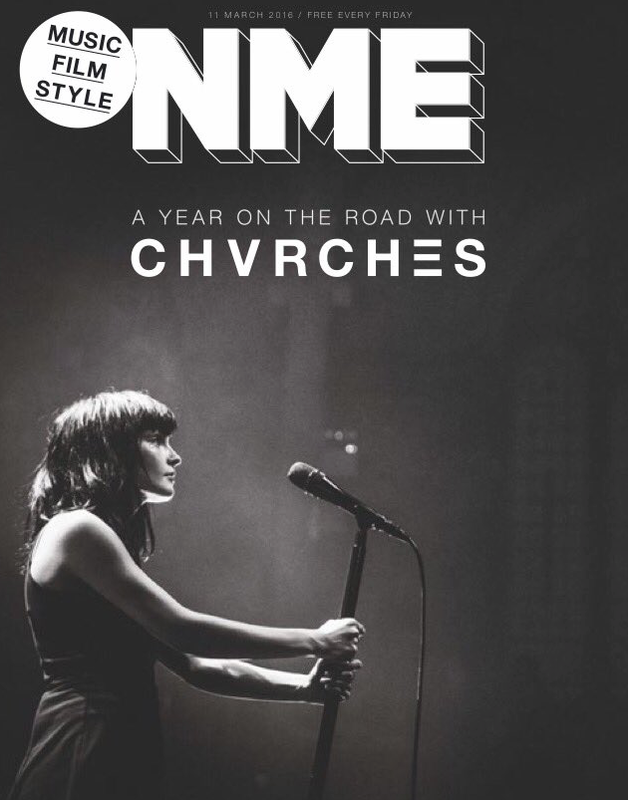 For me personally it was one of those things you dream about moments, appearing in a magazine (not for my musical talents) that I read religiously once a week, really felt good! So here I am tooting my own horn in a blog post about it! 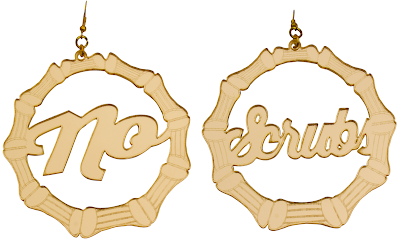 The 'No Scrubs' acrylic laser cut bamboo earrings are available to buy on the site and you can get them in matte or mirrored gold, and you can actually have them say whatever you like, just leave us a note when you buy them. If you want TLCs message to live by then just leave it black! You guys are creating such amazing piece of jeweleries and I really hope that one day I buy one of your products. 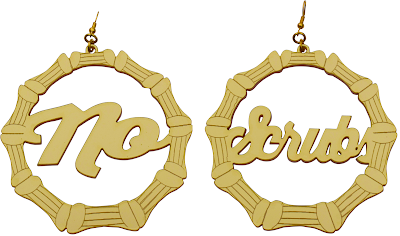 These earrings sure look cute and amazing.